Update on R-22 Refrigerant | Controlled Air Inc. The EPA has finally signed the 2012-2014 (yes a little late since it is already 2013) allocation rule for R-22, which dictates how much can be imported and produced. The amounts allocated are higher then originally dictated in 2009, but the price for R-22 continues to rise. 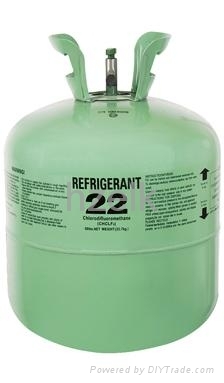 One of our suppliers for refrigerant told us there is no shortage of R-22, only that people are holding on to it to drive up the price! Unfortunately as it gets closer to 2020 when R-22 is to be phased out the price will continue to climb. The EPA will will now begin drafting the 2015-2019 allocations from 50 millions pounds to 0 pounds in 2020. If you are running old or outdated equipment it is a good time to start planning to replace the equipment with new energy efficient models that use refrigerant other than R-22. With the rebates and incentives available and the money saved on energy it will help make the new equipment more afforable.